Jumpsuit has zip and velcro fastening. Dragon all-in-one jumpsuit with attached headpiece and shoe covers. 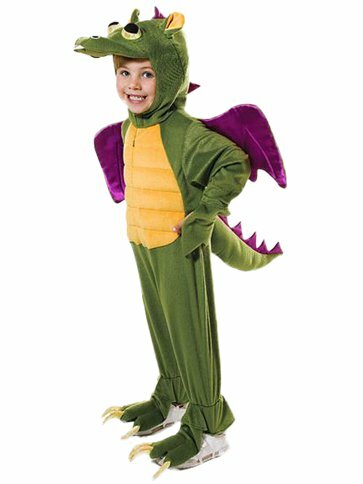 A fantastic Dragon Costume, consisting of an all-in-one, soft feel jumpsuit with zip fastener to front, padded tail, attached shoe covers and an a pair of impressive structured wings to back. The jumpsuit has a lined headpiece with a cute, padded dragon face and under-chin velcro fastening.